That would be Belkin's WeMo Mini. After spending over 22 hours plugging in and unplugging lights and other small appliances and turning them on and off using various apps (and by barking orders at Siri and Alexa when we could), we found that the Belkin WeMo Mini is the best smart-switch outlet adapter for people who want to add smart control to their existing outlets. It packs most of the same features as our previous pick, the WeMo Insight, into a smaller size, and it's less expensive. It also plays nicely with both iOS and Android smartphones and tablets and integrates easily with popular smart-home protocols and devices. All you need to do is plug the Belkin WeMo Mini into an existing outlet and install the app to get started with home automation. If you're the type of person who is constantly paranoid about if you left the iron on, smart plugs can ease your anxiety. These are small devices that plug into any outlet and allow you to control the connected appliance wirelessly via a smartphone app. Putting even just one smart switch into your home can ensure that you'll never enter a dark house; add a few and you can control items such as household fans, speakers, slow cookers, air conditioners, and more. Smart switches are an easy way to add remote control to any electronic device. 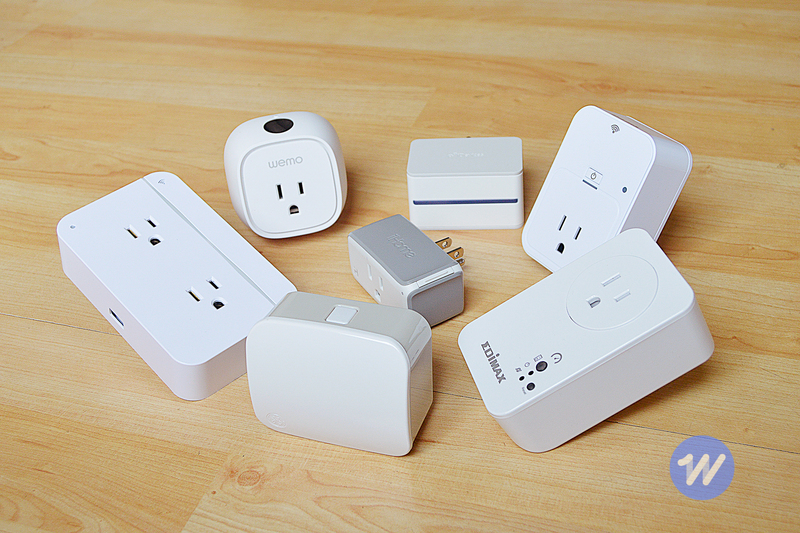 We started compiling a list of smart switches by searching for reviews on sites like CNET, Pocket-lint, and MakeUseOf. We then cross-checked our list with customer reviewers from Amazon, and decided not to consider any models with bad reviews. After that, we started considering criteria and features. First and foremost, a smart switch should be easy to operate and reliable. You should be able to plug it in, download the app, and start controlling the switch in minutes. We also favored apps that provide extras beyond the ability to turn the switch's power on and off, such as dimming, scheduling, and the ability to group multiple switches. To test each switch, I downloaded apps to an iPhone 5, an iPad, and a Samsung Galaxy S6. Most of the switches connected to Wi-Fi easily and were simple to operate. I kept all of the plugs confined to the lower level of my house, but operated controls from across the house, out in the driveway, and across the street (up to 150 feet away). To keep things interesting, I plugged a variety of items into our test switches. 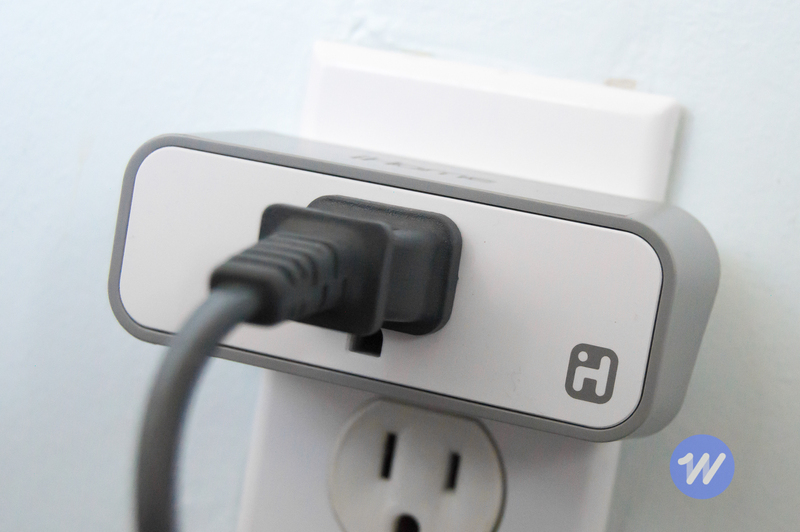 Belkin recently slimmed down its smart-plug offering with the WeMo Mini. The company's newest smart plug is just as reliable as our previous top pick, the WeMo Insight, but is more compact and $15 cheaper. It connects to the same WeMo app, which can control several devices remotely, includes options for scheduling and rules, connects with both iOS and Android devices, and can be integrated with other smart-home devices. 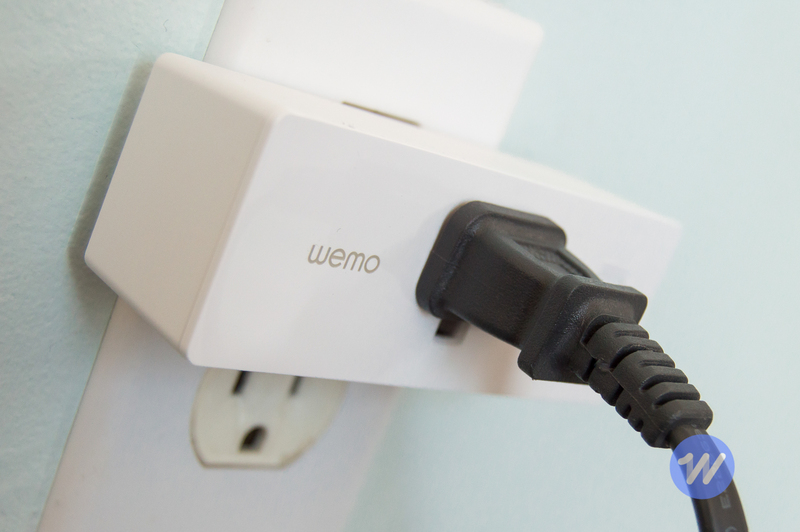 The WeMo Mini is small enough to fit into either socket in a duplex outlet without blocking the second one. The switch easily connects to your Wi-Fi without needing a hub. It performed as advertised throughout our testing period, providing on-off control from inside and outside of the house whenever called upon. The WeMo Android and iOS apps are almost identical, offering on-off controls, rules, and timers. Unfortunately, the WeMo Mini does not offer energy-usage information; the only WeMo device with that feature is the Insight Switch. 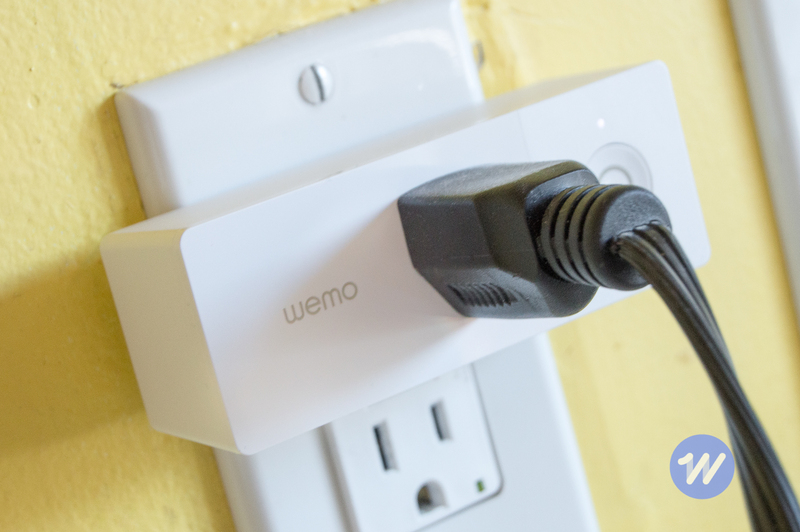 Like its predecessor, the WeMo Mini stands out because of its compatibility. In addition to integrating with other WeMo devices, the switch also works with the Amazon Echo, Google Home, and IFTTT. However, the WeMo Mini does not support integration with Apple's HomeKit. The iHome iSP8 is a solid runner-up. It performs all of the standard smart-switch features very well, but adds additional smart-home integration and energy monitoring so you can see how much energy your lava lamp is wasting via the companion app. It also comes with a separate remote control for controlling it without a smartphone (from up to 35 feet away). The drawback of these extra features is that they cost more than our top pick. If you don't need it to work with HomeKit or a smart-home hub, you don't need to spend the extra money. The iSP8 has a few additional smart-home perks over our main pick. Besides Alexa and Nest integration, it offers support for SmartThings and Wink smart-home systems, so you can connect it to a hub and make it a part of a larger, whole-house system. It also features Apple HomeKit integration, so you can control the iSP8 or groups of HomeKit-enabled devices using iOS devices and the sound of your voice. It does not work with Google Home. 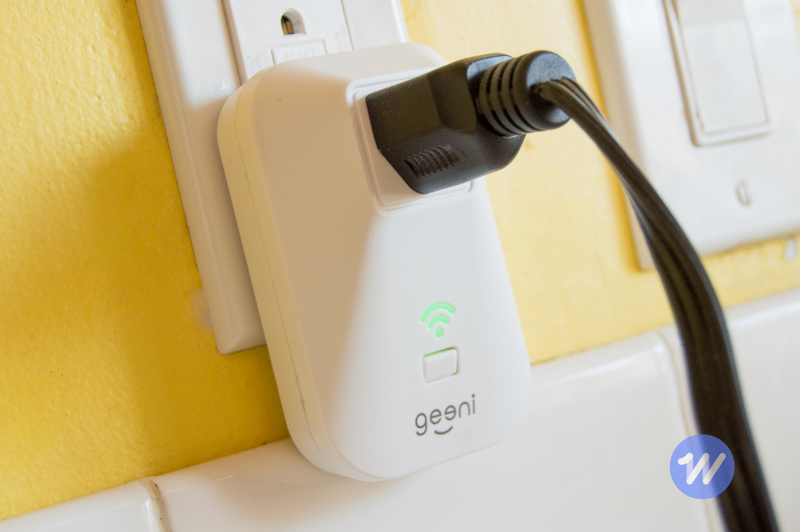 The Geeni Energi is a reliable performer and the least expensive Wi-Fi smart plug currently available. It provides all of the standard smart-switch features, allowing users to control devices both in and outside their home. It also includes scheduling and timers and can be controlled via Amazon Alexa devices. Geeni's Android and iOS apps are identical, offering on-off controls, scheduling, timers, rules, the ability to group devices, and energy-usage information. However, It's a bit bulkier than our other two picks, which will banish it to the bottom receptacle of your outlet.